Hi! I’m Maggie and welcome to my blog. This is a place where I will be sharing cards that I make. So to start off, I’m saying hello to anyone who happens to come across my blog and anyone who loves card making. We in Chicago have had a fairly nice Fall as Chicago Fall’s go. However we are being hit with cold weather (so much for Awesome Autumn). 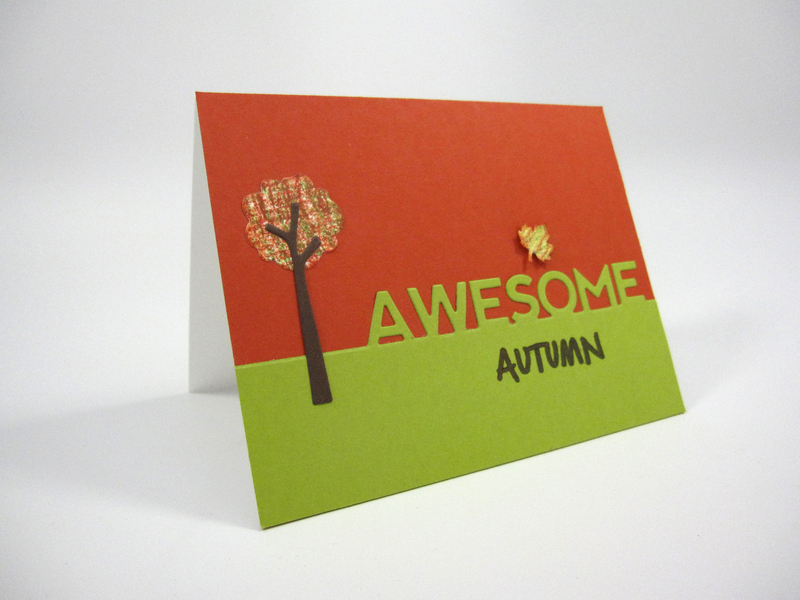 Anyway, here is a card I made to celebrate Autumn. Hope you like it.